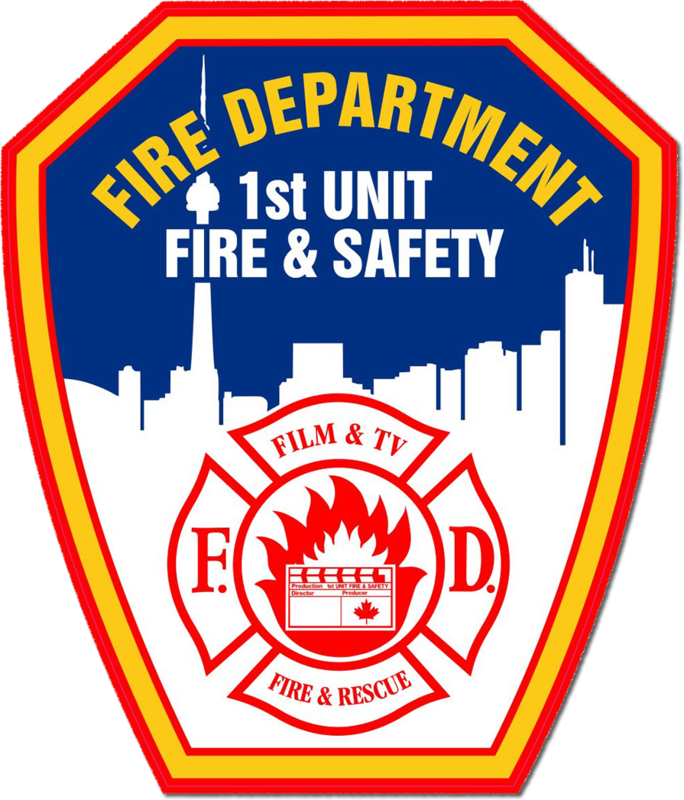 Ladder 4 - 1st Unit Fire & Safety (Canada) Inc. 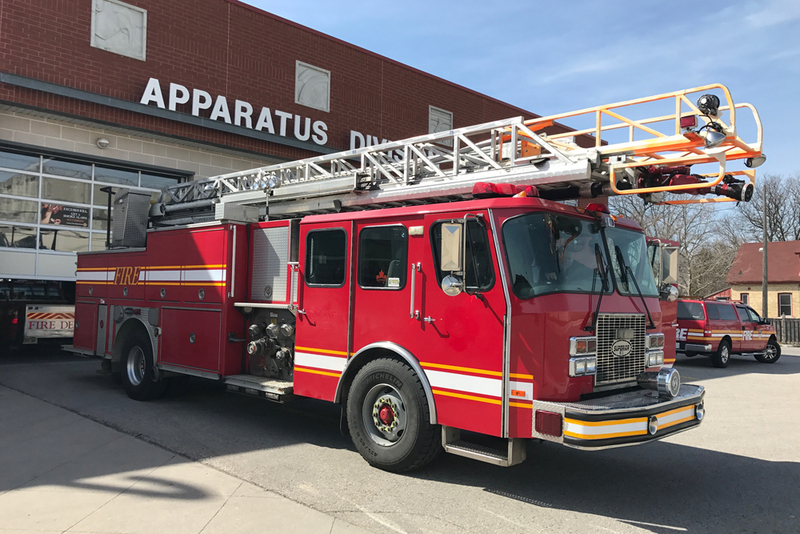 This 75′ ladder truck has the modern look of a Major City/Municipal vehicle. 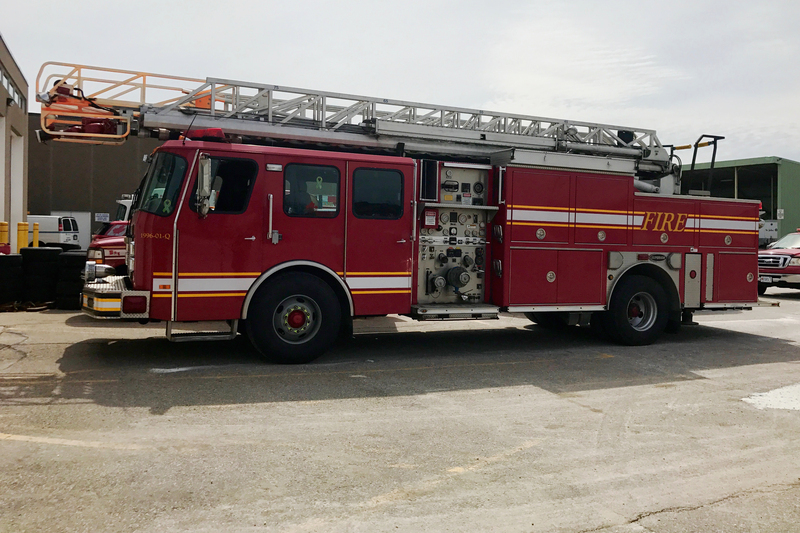 Besides carrying 500 gallons of water, the pump is a Waterous 1250 GPM single stage. 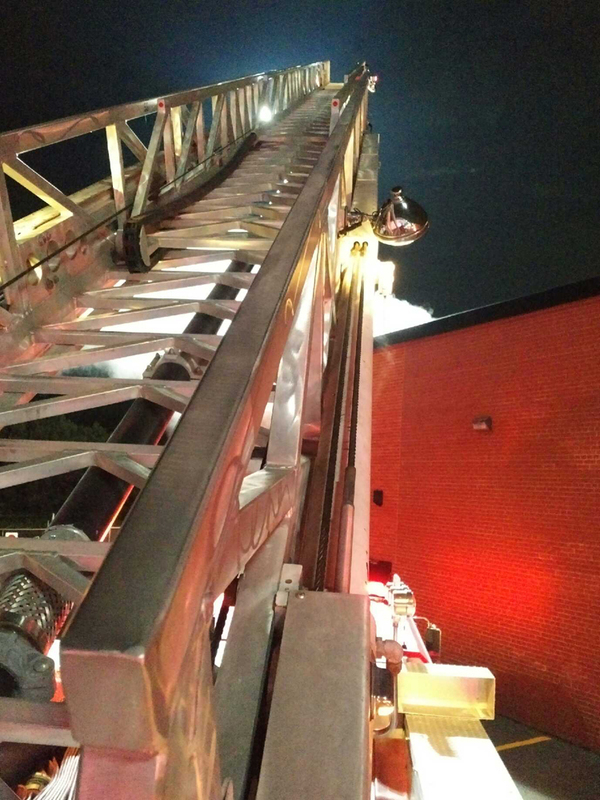 It also carries all other equipment you would expect to see on a ladder truck. Large cab for interior shooting.